It's the most famous line ever uttered by a movie gangster -- a simple promise delivered by Marlon Brando, playing Don Vito Corleone, in The Godfather: "I'm going to make him an offer he can't refuse." The quote first appeared in Mario Puzo’s novel The Godfather, which tells the story of the fictional Corleone crime family that was adapted into the epic film by Francis Ford Coppola. The line is powerful because it almost sounds like something innocent. "An offer he can't refuse" seems similar to "a deal he can't pass up" -- something so good that the person offered it just has to say yes. A few scenes later, we find that the "offer" is really a command, and Woltz "can't refuse" because doing so would likely get him killed. 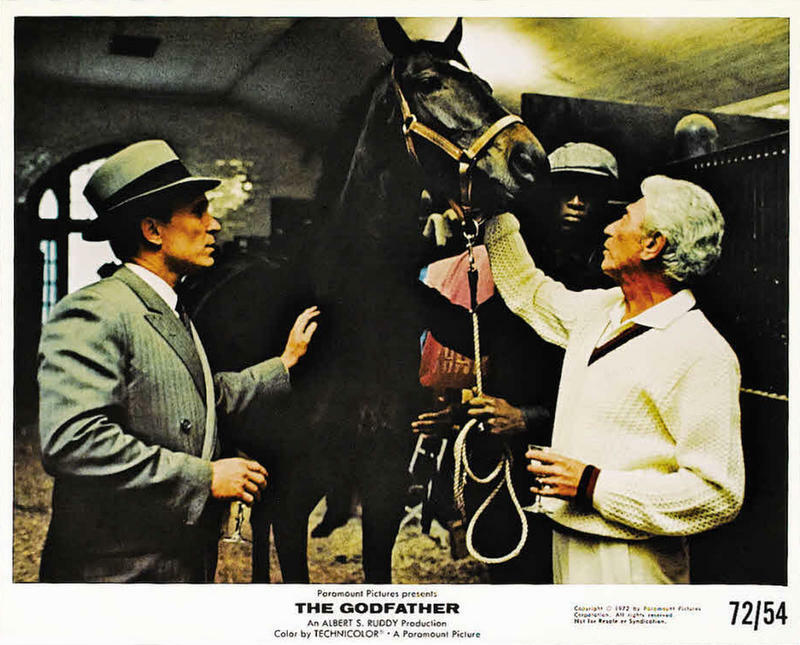 The Corleone family consigliere, Tom Hagen, played by Robert Duvall, visits Woltz (John Marley) at his home, where they walk the grounds and Woltz shows him a $600,000 thoroughbred horse. Woltz stands firm, asserting that Fontane will never get the part. In the next scene, Woltz wakes up to find the severed head of his prized horse in the bed with him. An offer he can't refuse? More like "Do what we say, or else." “I'm going to make him an offer he can't refuse” is such a famous and natural line that it’s hard to imagine anything inspiring it. 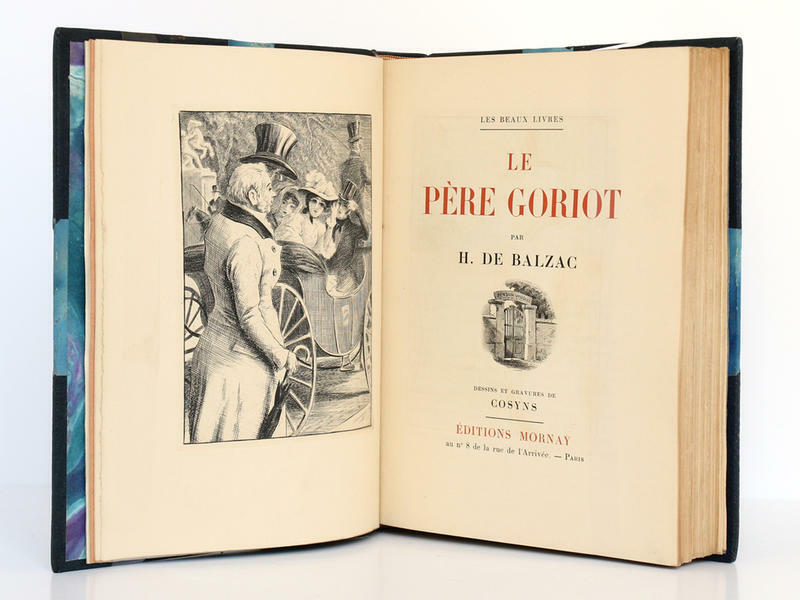 However, when writing The Godfather, Puzo was inspired by 19th century French author Honoré de Balzac, specifically his 1835 novel Le Père Goriot. 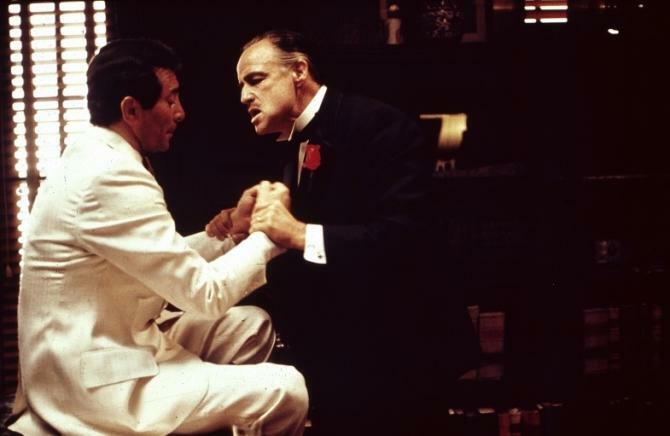 A phrase from Le Père Goriot opens Puzo’s book, and at one point a character in Balazac’s novel tells another character, “In that case I will make you an offer that no one would decline,” which sounds familiar. 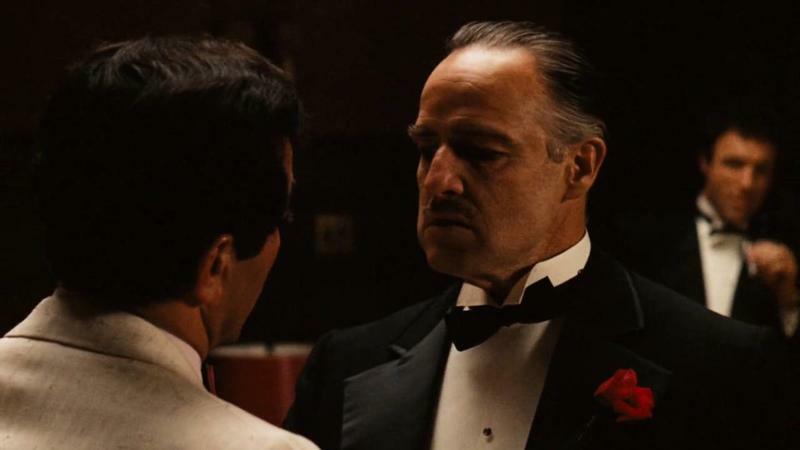 Versions of the line occur twice more in the movie, establishing that this was not just an off-the-cuff remark by Vito Corleone. This is what the Corleones say when they mean to get what they want, or else. 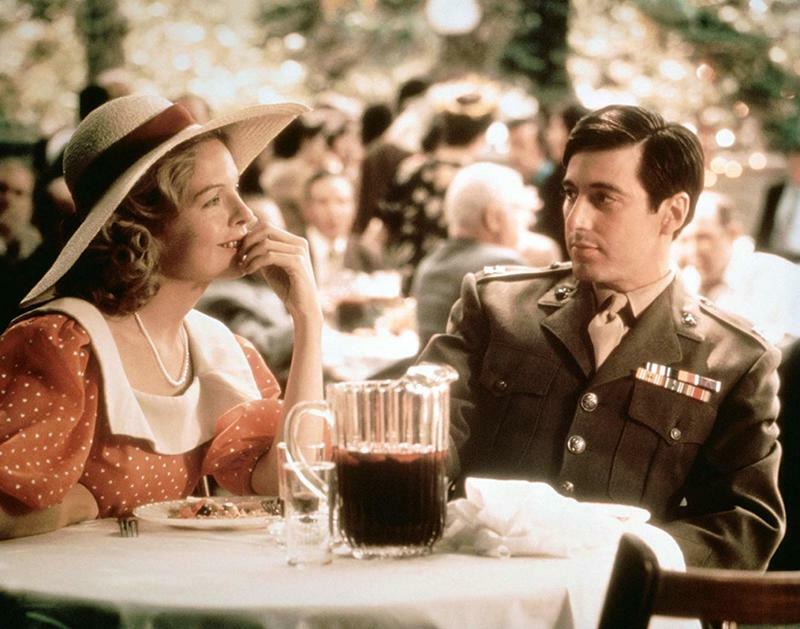 Michael Corleone (Al Pacino) relates another story about such an "offer" to his girlfriend Kay Adams (Diane Keaton). 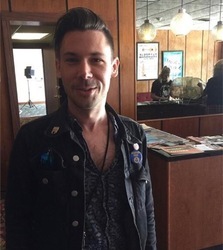 The story, again, concerns Vito's godson Johnny Fontane, who needed help getting out of a professional contract with a bandleader. Michael: My father went to see this bandleader and offered him $10,000 to let Johnny go, but the bandleader said no. So the next day, my father went back, only this time with Luca Brasi. Within an hour, he had a signed release for a certified check of $1000. Later in the film, when Michael is telling Fontane about the Corleones' plans to move into the casino business in Las Vegas, Fontane questions whether a casino owner would ever sell. Michael's response to Fontane is simple, and by now we know exactly what it means: "I'll make him an offer he can't refuse." In Mario Puzo’s novel, Vito Corleone does help his godson get his role in a film, but when he makes the promise to Johnny he doesn’t say the line exactly the same way. Rather than say, "I’m going to make him an offer he can’t refuse" the way Marlon Brando does, Vito says "I’ll make him an offer he can’t refuse." While that’s not a huge deal, it’s interesting that Brando and Coppola decided to make the change. 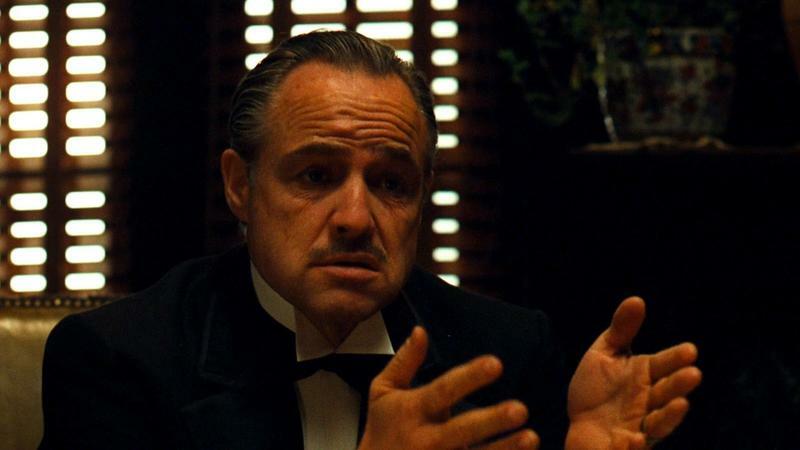 In the film, it’s actually Michael who says the line “I’ll make him an offer he can’t refuse” exactly as Vito said it in the book. Even though the line seems tossed off, author and screenwriter Mario Puzo actually slaved over the line -- especially in its transition from book to screen. In 2016 Puzo’s 45-box archive went on sale and it features a series of drafts of both his novel and screenplay versions of The Godfather. 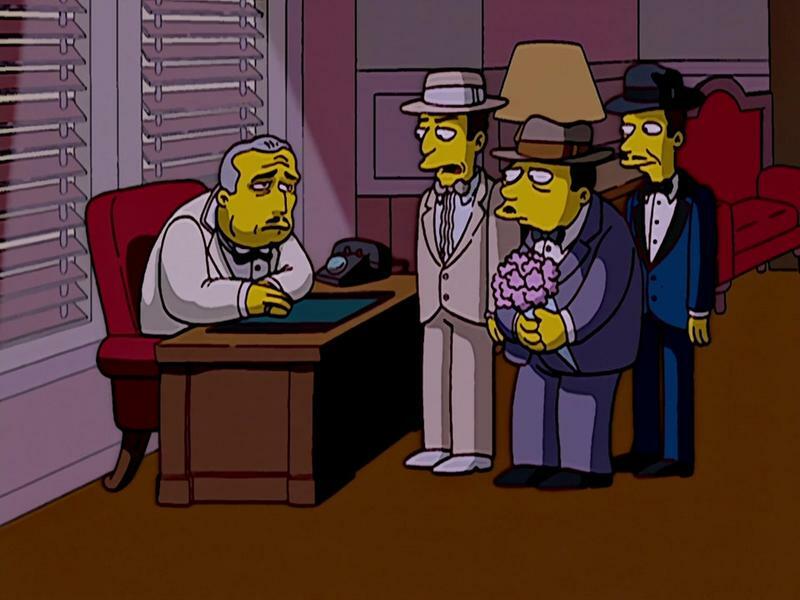 It's hard to say exactly how many times "an offer he can't refuse" has been used in other contexts since 1972. The "movie connections" page at IMDB.com lists at least 150 other occurrences, paraphrases, or references to the line in film, television, video games and other media. The line has seeped into just about every genre, from kids' cartoons (DuckTales, The Adventures of Elmo in Grouchland) to teen dramas (Gilmore Girls, Buffy the Vampire Slayer) to sitcoms (That '70s Show) to prime-time drama (The West Wing, Grey's Anatomy) to soap operas (General Hospital) to science fiction (Babylon A.D.) to video games (Max Payne, Borderlands). And of course, the line has ended up on The Simpsons -- because everything that's any good ends up on The Simpsons.